Hour 1: The first in a short series of teachings on "Rightly dividing the word of God – keys to Biblical interpretation." Hour 2: The second part of a series entitled "Rightly dividing the word of God – keys to Biblical interpretation." How Did God Save During the Old Testament Period? Submission to the Levitical sacrifice under the old administration was a yielding of God's way of salvation in the OT. The regenerate Jews realized that these were but types of the reality that was to come. The fact that the Jews apprehension of this was incomplete is irrelevant. As for people such as Cornelius and Lydia who are said to be God fearing, worshipers of God, why was the gospel preached to them if they were already saved? The good news was preached to those in the transition period (the book of Acts) so that those who already knew Christ in shadows would now know the fulness of revelation. (See Romans 4:17–24 & Galatians 3:6–29) The only alternative would be to keep the fulness of the good news from them, which would be problematic. Enlightened saints in the transition period were waiting for the Christ and wanted to behold him (Luke 2:26). "But you are a chosen race, a royal priesthood, a holy nation, a people for God’s own possession" 1 Pet 2:9. The language Peter here applies to new covenant believers is the same used of Israel in the Old Testament (Deut. 7:6-9) which does away with all specious arguments that "chosen" has different meaning for OT and NT believers. The entire Bible declares that there is only ONE people of God. In contrast with what a whole generation of American believers have been taught, God did not make an "earthly people" when he created the ethnic Jews and another "heavenly people" when he created the the NT Church. This is an unbiblical bifurcation which no man was meant separate. Peter continues to quote from Deuteronomy, Isaiah, Exodus, and Malachi -- and employs the same language the Old Testament uses to describe Israel to describe the church. The Church and Israel are the "one new man" Paul speaks of in Ephesians chapter 2. Jesus, in the preamble to quoting a verse from the Old Testament said, “…have you not read what was spoken to you by God…” (Matt. 22:31). He then went on to quote a verse from the book of Genesis. Think about that for a moment. Jesus believed (and held people accountable for doing so) that when someone read a verse from the Old Testament, they were reading something spoken to them by God. That is a very high view of Scripture, to be sure. The testimony of Jesus and of the Bible is that “All Scripture is God breathed” (2 Tim. 3:16). Therefore, when we open up a page in our Bibles, we are treading upon holy ground. The Bible, although a book, is also unlike any other book. It is not simply a book giving facts about God. The Bible is a book written by God. Certainly, human writers were involved, but the text of Scripture is inspired or breathed out by God Himself. Just having this concept in place would greatly help us in our Bible studies. Well, many people view the interpretation of God’s Word as “no big deal” really. To them it is nothing more important than the reading of any other book, at least in their methodology. The Jews would wash their hands before touching the sacred scrolls, because these scrolls were seen as Divinely inspired. Though we do not need to become superstitious about the physical book called the Bible, so as to wash our hands before picking up or opening the book, the text of the Scripture is the very word of God Himself. We should approach the Word of God humbly, and with the utmost reverence and respect. And that leads us to talk about how we interpret the Bible. When we recognize that we are handling the very truth of God, we should not be quick to come to conclusions about what it means. That is because if the Bible is God’s holy word, we should seek to gain the correct meaning before we attempt to speak for God. I can’t think of a more holy assignment that to be called to preach or teach the Word of God to the souls of men. I feel the weight and privilege of this calling immensely. Scripture in fact tells us “Not many of you should become teachers, my brothers, for you know that we who teach will be judged with greater strictness.” (James 3:1) It is actually a scary business, and its meant to be. Therefore, before someone stands in a pulpit to preach or teach the Word of God, he needs to make sure he has interpreted the text correctly. The preacher’s job is not to merely entertain the crowd or to tell a few stories that will connect with the audience. Please don’t misunderstand me. God gives no prizes to boring preachers who can’t connect with people! But we must always remember that the goal of preaching is the honor and glory of God in accurately proclaiming the word of truth. It is a serious and holy thing to be responsible to proclaim God’s truth and it should never be done lightly, whether we are heard by thousands, or simply by one precious human soul. But what is true for the preacher is also true for every Christian. When we sit down and start reading the Bible for ourselves we need to remember that though there may be a thousand applications of Scripture, there is only ONE correct interpretation – the one the Holy Spirit meant when He inspired the sacred words of the Bible. We should be prepared to do some serious study to seek to understand what the Holy Spirit was and is communicating to us. And that leads me to talk about how we interpret the Bible. When we recognize that we are handling the very truth of God, we should not be quick to come to conclusions about what it means. That is because if the Bible is God’s holy word, we should seek to gain the correct meaning before we attempt to speak for God. Handling the word of God is a priceless duty and delight, not a trivial passion or pursuit. 1. Consider the Author – who wrote the book? - what was his background, language, culture, vocation, concerns, education, circumstance, what stage of life? For the most part, Gentry and Wellum, the brothers who wrote the new "alternative" (pg. 23) to Covenant Theology and Dispensationalism, really attempt to be fair in the characterizations of the two systems they critique. Their overall purpose seems genuine enough in trying to arbitrate between the two systems, and bring them together, however much we may disagree with their conclusions. Which is why I was truly suprised (no, stunned) to find them somehow associating Covenant Theology with "Replacement" theology throughout its pages. The first time I ran across this term (.pg 42) I was taken aback, but then I saw it again (pg. 125) and again (pg. 685). In fact it uses this term multiple times throughout the book and serves as as basis for one of their main points of contention with covenant theology regarding the distinction between the church and Israel and the progressive nature of grace in redemptive history. Question: WHO IS THIS BOOK WRITTEN FOR? Answer: Christians who believe the Bible is the word of God and who wish to gain a biblical understanding of Godâ€™s electing grace in Christ. Question: WHO WILL GAIN MOST FROM THE BOOK? Answer: Those who are willing to test and examine their traditions and hold them up to the light of Scripture, the sole infallible rule of faith for the people of God. Hermeneutics is the science of biblical interpretation. One amongst many sound principles of interpretation is that we should build all doctrine on necessary rather than possible inferences. A necessary inference is something that is definitely taught by the text. The conclusion is unavoidable. It is necessary. A possible inference is something that could or might be true, but not something actually stated by the text. Some refer to this as the distinction between the implicit and the explicit. An implication may be drawn from the text of scripture, but we then have to ask if the implicit interpretation is a NECESSARY ONE rather than a POSSIBLE one. We all have our theories, but a sound principle we should employ is to not believe or teach as doctrine something that is only a possible interpretation. We should build doctrine ONLY on necessary interpretation. In practical terms, making these distinctions can sometimes be a difficult process because it means we have to take a step back and thoroughly analyze exactly why we think a verse teaches something. In other words, it means testing our traditions and doing a lot of thinking. Yet this is something we should do constantly. â€œSola Scripturaâ€ is not the same as â€œSolo Scripturaâ€. A proper understanding of â€œSola Scripturaâ€ will not lead to an individualistic, â€œme and my Bible in the woodsâ€ approach to Bible interpretation. Because of Christâ€™s gifts to the Church through the centuries, we have the privilege of standing on the shoulders of giants. Your identity as a â€œBaptistâ€; your endless quotations from Charles Spurgeon; your faithful devotion to John MacArthur; and especially your willingness to call yourself a â€œCalvinistâ€ are all huge red flags that tell me something is seriously wrong with your theology. Why do you teach a system of doctrine that is named after a mere man? Why are you following human teachers instead of going to the Bible alone? After all, 1 John 2:27 says, â€œThe anointing which ye have received of him abideth in you, and ye need not that any man teach you.â€ We ought to go to Scripture alone to establish our doctrine! The truth is in Godâ€™s Holy word, not in any theological system or theology textbook developed by mere men. Isnâ€™t that principle what the Reformation was originally about? Sola Scriptura? Didnâ€™t even Calvin himself go to Scripture for the truth instead of reading other men? I believe that if Calvin himself wrote for this blog, he would point people to the truth in Godâ€™s Holy word, not to a theology developed by some other man. "Don't give me doctrine, I just want to follow Jesus"
When someone says, "Don't give me doctrine, I just want to follow Jesus", what they are really saying is "give me law, not gospel. Give me more imperatives and less indicatives. I just want something practical." But how is this any different than Mormons or theological liberals? Fact is, we need a Savior, not just a moral example. You could not have believed the gospel of Jesus Christ without knowing its contents. You did not just follow a generic Jesus. To be saved you understood that you had no self righteousness of your own and you trusted in Christ's finished work... which included His living the life you should have lived and dying the death you deserved. This is doctrine. The idea of simply "following Jesus" is requiring more demands of the law because you are looking for Jesus to tell you something you can do. But you need the gospel, not merely law, to be saved or to grow in grace. Indeed following Jesus springs out of a renewed heart. As Christians we only follow Jesus when we know Who we are following and as such we need to preach the gospel to ourselves daily. The Spirit first first brings an elect soul face to face with Godâ€™s holy Law, for â€œby the law is the knowledge of sinâ€ (Rom. 3:20). It condemns and curses him because it demands perfect obedience in thought, word, and deed. Next, the Spirit brings before the soul the precious Gospel where the law's demands are perfectly met by Jesus Christ. The Spirit so works in his heart that He appears to him to be the most glorious object in the world; and so rests entirely upon His finished work. No one is suggesting that we have right doctrine but do not follow Jesus, but the imperatives (Commands) always spring from indicatives (what Jesus has done). Look at Ephesians for example. The first 3 chapters are pure doctrine... - "this is what Jesus has done for you". Chapter four (4) then says THEREFORE, "live like this". But the opposite is not true Biblically... right doctrine does NOT flow out of right living. To those who squirm at the word "doctrine" it simply means "teaching" - the Bible is full of teaching from start to finish. It does not matter if your church never used the word. Your eyes were opened an you believed because the Holy Spirit gave you understanding of the gospel and the teaching or doctrine in the Bible that Jesus is not just a moral example, but a Savior. You could not have been saved unless you FIRST understood the doctrine about these teachings about what Jesus did for you . You could not have been saved simply by saying "I am going to obey Jesus".... that is moralism --- and no one is saved by obeying the moral commands of Jesus. They will damn you if you trust in them. But anticipating your criticisms, let me also declare that a simple reciting of doctrine without a changed heart has no value. Having pride is how good your doctrine is would mean that they have not yet grasped the most basic doctrine that we are saved by grace ALONE. Such a tragic misapplication of the doctrine we have learned denies Christ because it is trusting in something else (how good ones doctrine is). but again, the opposite is most often true in this day and age ... that many people will say, "I don't want doctrine at all, I just want to follow Jesus." This is to want only instruction for practical living by giving them law.... and to shun the teaching of the gospel altogether. This is the root of all cults and heresy. Most of the people who say "I don't want doctrine" are usually the same people would say in the same breath "just give me something practical from the Bible"- and what they mean by this is that they want instructions about WHAT TO DO... rather than hear about what God has done for them in Christ. The phrase 'Jesus follower' places the focus on my following and the moral imperatives of Jesus. "Theological Liberals" and Mormons are characterized by their sermons on moral instruction - not the priority of Jesus as God the Savior. While people in the above cults all say they want to follow the Bible, but look closely because they only want the LAW part of the bible because that is practical for me. They don't want to hear about the gospel part of it because it is doctrinal and, more importantly, it strips us of all hope in ourselves and places our hope in Another. I was asked, "Pastor John, in your article about rules of interpretation you mention context as being vital in terms of obtaining the correct interpretation of a text or passage. Can you expand on that a little more? What I do is look up a wordâ€™s meaning in a dictionary. Isnâ€™t that enough?" I replied: Thanks for your excellent question. Actually my short answer is â€œno, that is not enough.â€ More here. Everyone is in covenant with God and the sanctions are according to which covenant you are in. Covenants are the architectural framework, the superstructure of the Bible. Covenant theology is just biblical theology because we find covenants everywhere in the Bible. Many scholars try to discover what is the center of the Bible ... the center of biblical theology? Some of the proposed centers for biblical theology are God, Israel, Covenant, creation, kingdom, salvation, new creation, and so forth. None of these are the center of the Bible though. They lose their meaning without Christ. If there is no Christ, there is no kingdom to talk about. The diversity of the Bible is unified in Christ. He is the center that holds all of the biblical data together. While the covenants night be the vehicle by which God relates to his people and the kingdom of God is certainly his pervasive rule over all people yet the fullest expression of God and His glory come in the person and work of the Lord Jesus Christ and this is why covenants are important. They teach us about Him. As most of my readers know, I did not always embrace the reformed faith. For the first 20 years of my Christian walk I was fairly convinced of synergistic theology, though I would recoil at the idea of labeling it as such. In my mind, I just believed the Bible, or so I thought. I was recently having a discussion with a gentleman through e-mail and he was lamenting the fact that I no longer believed as he does (he is a synergist). He said my problem was that I gave false teaching a chance to wreak havoc in my soul by exposing myself to it â€“ by listening to it. He then wrote â€œFaith comes by hearing. If you keep hearing something you start to believe it.â€ He thinks of reformed theology as falsehood, and so using this verse (Romans 10:17), was seeking to show the source of my error, namely that I should never have listened to reformed theology. Leaving the discussion about reformed theology aside, is what he wrote correct? Does hearing something mean that you will believe it? I would suggest not, and go further to say that his view of Scripture is incredibly low to say such a thing. The obvious implication of his words is the concept that we believe anything we hear. But is that true? I have heard many things in life that I do not believe. Some people in England believe Manchester United are the greatest soccer team in the land, when it is clear that this title belongs to Liverpool alone. I could hear someone talk of the Manchester team in such glowing terms all day and all night for a week, and never believe the bald faced satanic lie. I jest, of course (slightly anyway - after all the Manchester team are called "The Red Devils") - but the point is still a valid one. We do not believe everything we hear - even something we hear repeatedly. It is God Himself who gives the gift of saving faith (Ephesians 2:8,9) - it is not the product of our natural humanity, however many times a person hears the Gospel preached. This year has witnessed a publishing event of real interest to many Christians: the publication of N.T. Wright's Justification: God's Plan and Paul's Vision. Wright is widely considered the most provocative writer on justification today and the arrival of this book has deservedly garnered much attention. My purpose in this article is not to review Wright's book as a whole or even to assess his overall teaching on justification. Rather, I intend to respond to that part of his teaching that proposes a future justification by works for believers in Jesus Christ. To understand the relationship between the Church and Ethnic Israel, I encourage you to first and foremost submit your thinking to the whole counsel of scripture and find your method of interpreting of the Bible from the Bible itself! Wisdom does not come on this issue from extra-biblical sources but rather we must ask the Holy Spirit to help us understand the Word, and, according to the Word, the meaning of the Law and Prophets are found and explained in Jesus Christ. The Apostle said, "no matter how many promises God has made, they are "yes" in Christ" (2 Cor. 1:20), These very promises are the fulfillment of the covenant blessings promised to Abraham that all the people's of the earth would be blessed through Him. "He redeemed us in order that the blessing promised to Abraham might come to the Gentiles through Christ Jesus, so that by faith we might receive the promise of the Spirit" (Galatians 3:14). The kingdom of God is a kingdom only because Jesus is the King who reigns over it and so only those who are united to Christ are members of this kingdom. According to historic Dispensational teaching, Israel and the Church are two distinct peoples of God with two distinct destinies. But is this view supported by the testimony of Scripture? Designed as a reference tool, this booklet succinctly presents the major tenets of Dispensationalism followed by the key Scripture passages that address each tenet. With this simple format, Nathan Pitchford has created a valuable resource for evaluating the merits of Dispensationalism in the light of Scripture. This booklet is a great tool for guiding your own personal study or for engaging in fruitful dialogue with others. Designed as a reference tool, this booklet succinctly presents the five points of Calvinism followed by the key Scripture passages that support each point. With this simple format, Nathan Pitchford has created a valuable resource for understanding the biblical basis for the doctrines of grace. This booklet is a great tool for guiding your own personal study or for engaging in fruitful dialogue with others. Any view of scriptures as inspired and inerrant demands of the interpreter a final product which is free of all absolute contradiction. If the bible is the word of God, and if God is trustworthy, then in the bible, A can never equal non-A fundamentally. That is, A can never equal non-A in the same sense and at the same time. Every instance we have in the bible, therefore, of A being equated with non-A is only a superficial, or accidental equation, and never an essential contradiction. That is not to say that we can find no examples of express A equals non-A formulas in the bible, but rather that every one of those formulas must be understood as indicating the negation of A respective of a different sense, or respective to a different time. For instance, when we examine Paul's statement in Romans 9:6, "they are not all Israel, which are of Israel," we must be content to presuppose of Paul as a reasonable man, not to mention a man writing under inspiration of the Holy Spirit, that the contradiction intended is not a fundamental one. The precise formulation of this expression leaves us no doubt that a contradiction is being posited: under the rubric "all who are of Israel" is included a subset, "those who are not Israel". Of this subset, therefore, we see characteristic A, being of Israel, attributed to them, and at the same time the negation of A, being not-Israel, attributed to the same set. The context of the apparent contradiction leaves us no difficulty in vindicating our presupposition of the reliability of scriptures. As Paul goes on to elaborate, there is, of the entire set of those who are in some sense "Israel" a smaller set of "Israel according to God's promise" or "elect Israel". This elect Israel is truly Israel in a deeper and more fundamental sense than the set of those who are merely ostensibly Israel. Therefore, the non-elect offspring of Jacob are, in a superficial sense, "Israel," but in a more fundamental sense they are not true Israel. And so the A equals non-A formula is one of contradiction respective merely of a different sense. Are There Two Gospels in the New Testament? I just finished reading an article which had obviously been influenced by the idea that there are two distinct gospels in the New Testament. This insistence that there is a â€œgospel of the Kingdom,â€ which Jesus proclaimed to ethnic Jews, who rejected it insistently enough that they received a temporary retraction of the offer; and that this gospel is to be sharply distinguished from the gospel for the Church, as defined in I Corinthians 15:1-4; is a common Dispensational understanding (see Renald Showersâ€™ book, There Really is a Difference, for an example of such argumentation). Frankly, this disturbs me greatly, first of all, because it makes nonsense of the whole tenor of New Testament teaching. If the â€œgospel of the Kingdom,â€ is a different gospel than that which is preached today, then why is this â€œgospel of the Kingdom,â€ which Jesus had been proclaiming throughout his ministry (e.g. Matthew 4:23, 9:25), the very same gospel that he said must be proclaimed in all the world before his return (Matthew 24:14)? Why is it that the apostles throughout the New Testament writings continued to proclaim this Kingdom-gospel (see Acts 20:24-25; 28:23, 30-31)? How can one justify adhering to a belief that is so eloquently argued against throughout the New Testament scriptures? Dr. Michael Horton has written an outstanding article on the "redemptive-historical" approach to biblical interpretation that I would encourage all to read, especially those who preach and teach God's word - found here. For a second related article "Wanted: Ministers Who Preach Not Themselves, But Christ" go here. Here's a quote: "As I read these qualifications, I cannot help but think of how the apostle Paul might have fared. On the "innovative, progressive, change-initiator" scale, he would have scored poorly.... The basic difference between Paul's outlook and the dominant perspective reflected in these ads is quite simple: for Paul, the authority and power rests in the ministry, not the minister. It is the proclamation of Christ, not the skills, personality, charisma, or even personal godliness, that builds Christ's Church. We hear the reverse all the time: "Sure, he could stick closer to the text when he preaches, but he has a real heart for the Lord and wants to reach out to those who are hurting." But Paul turns this around: "Some indeed preach Christ even from envy and strife, and some also from good will: The former preach Christ from selfish ambition, not sincerely, supposing to add affliction to my chains; but the latter out of love, knowing that I am appointed for the defense of the Gospel. What then? Only that in every way, whether in pretense or in truth, Christ is preached; and in this I rejoice, yes, and will rejoice" (Phil. 1:15-18). When Paul quoted Genesis 2:24 in Ephesians 5:31, and expounded upon it thus: â€œThis mystery is great; but I am speaking with reference to Christ and the Churchâ€; he was engaging in a hermeneutical process that had definite roots in Old Testament revelatory processes, as exemplified most notably in Daniel chapter two; and also, in the exegetical methods of the Qumran community. In the Danielic passage, King Nebuchadnezzar receives divine revelation in the form of a dream, which lacks the information necessary to arrive at a thorough understanding of all the implications which inhered in the revelation from the beginning. At this stage it is called a â€œmysteryâ€ (Aramaic, razah, translated musterion in the ancient Greek versions), until Daniel receives from God the vital information that was lacking, by means of which he is enabled to give to the King the full significance of the revelation. Similarly, the Qumran expositors regarded the texts of scripture as so many â€œmysteriesâ€ which lack one vital element, namely, the person or time ultimately referred to, without which the full meaning inherent in the text could not be apprehended. Of course, this missing element could only be received by divine revelation (see F. F. Bruce, The Epistles to the Colossians, to Philemon, and to the Ephesians [NICNT], pp. 394-395, together with his footnotes). With Four Examples of Doctrinal Errors that Arise When this Key is not Used. I have recently had the privilege of reading a phenomenal book that I highly recommend to all teachers of the Word. That book was Gospel-Centered Hermeneutics by Graeme Goldsworthy.Â Its thesis is simple: the Gospel (or, Jesus Christ) is the Key to all Christian Hermeneutics. During the course of reading, his focus got me to thinking about its antithesis which would be that almost all errors and inconsistencies in our understanding of Bible texts occur when our interpretation is less than Christ-centered. This is foundational. Unless our study, however diligent, leads us to see that all Scripture points to Jesus Christ, our study is in vain. The importance of the Bible (OT & NT) is that it testifies about Jesus Christ (John 1:43-45, Acts 3:18, Acts 17:2-3, 2 Tim 3:14-15,1 Pet 1:10-12, Rom 1:1-3, 16:25-27, Luke 24:25-27 & 44-46). To many people, the very idea of a comprehensive, or macro-cosmic biblical theology is a little strange. Biblical theology by its very definition is less than comprehensive, is it not? Biblical theology has to do with the study of the revelation of a particular era, a particular biblical author, or so on. Whatever else, it is, it cannot be macro-cosmic: a macro-cosmic view of revelation is the domain of systematic theology; and biblical theology is concerned with developing the building blocks of systematic theology. Once it starts putting those blocks together, it has gone beyond the realm of its appropriate employment, and can no longer be designated â€œbiblical theologyâ€ at all. At that point, it is something else. We can learn so much from our fathers (and mothers!) in the faith. Today's blog is on Calvin's Hermeneutical Method. I would encourage you to read and ponder how John Calvin interpreted his Bible. The Bible is God's Word; it is inspired and inerrant, yet it needs to be interpreted. We would all wish sometimes that God would have been pleased to give us an inspired interpretation of the Bible, but he gave us His Church. God in his goodness, gave to us His complete Word, and in his wisdom saw fit to gift and call imperfect people to be about the hard work of rightly interpreting it (Nehemiah 8:1ff; Eph. 4:11-16; 2 Timothy 3:15-17). John Calvin is one of the ablest and finest interpreters of God's holy, inspired, and inerrant word in the history of Christ's church. He was very careful to seek what God was saying to His Church, and to declare it in a way that is exemplary to us today. This short summary of Calvin's eight exegetical principles (with quotations from Calvin's other writings) is offered to you with hopes that you too can continue to learn not only the science, but also the art of interpreting God's Word. I have compiled the following short study from Sydney Greidanus' book 'Preaching Christ from the Old Testament', Grand Rapids, MI: Eerdmans Publishing, 1999 (Highly recommended book!! ), John Calvin's 'Institutes of the Christian Religion' (also highly recommended), Calvinâ€™s Commentaries (a must have!). God's Word is the only rule of faith and practice for the Christian. His people long to hear it rightly interpreted, so that they can better understand their faith and their life. May God grant a new reformation leading to great revival because men and women again will hear the Word of God rightly handled, and that God in His Spirit would correct, rebuke, encourage, and train us in His righteousness so that we might be thoroughly equipped for every good work (2 Tim. 3:16-17). At first glance, it is apparent that the Bible is a very complex book: it was written in three different languages, by dozens of human authors, over the course of many centuries, and in a wide variety of styles and genres. However, beneath this dauntingly complicated surface, there must be a unified purpose and message; for behind all of the human authors and historical circumstances in which it came to man, there is one true Author, the God of creation, who set forth in this book just what he wanted mankind to know. So what is that unified message of the Bible? How does one go about relating all of its various styles and books into a mutually-interpretive volume? Bible scholars have suggested a variety of methods for structuring the unfolding story of special revelation, and have come up with numerous ideas for a central theme or themes which bind everything together. Perhaps the most compelling of these attempts, and the idea which most rigorously allows the Bible itself to indicate its own major emphases and underlying structural elements, is commonly called Covenant Theology. However, the sad truth is that, in contemporary Evangelicalism, many believers have only a very fuzzy understanding (at best) of this helpful and biblically-faithful way of understanding the over-arching message of the scriptures. 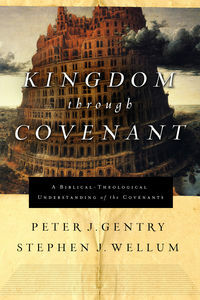 And yet, in the author's experience, there are few teachings which will enable a Christian to make better and more fruitful use of his scripture-reading than the basic components of Covenant Theology â€“ understand these few, scriptural themes, and you will be able to mark out and follow the general flow of the unfolding saga of redemptive history, as recorded in God's Word. And so, although it may be a naively ambitious undertaking, in light of the massive volumes written on this very topic by some of the most gifted and knowledgeable Bible-scholars God has given the Church, it has become a burden of mine to compose a very brief and simple introduction to that manner of understanding the Bible which we call Covenant Theology. Note: This is actually an article I wrote some time ago. But it has never been published on ReformationTheology, and since it is foundational to much of what I have to say about the Old Testament in particular, I thought it may be warranted to post it here. The character of the promises first made to Abraham in Genesis 12:1-3, and later reiterated and expanded in 12:7; 13:15-17; 15:1,4-21; 17:1-9,19; 21:12; and 22:16-18 has long been recognized, in some sense, as foundational to all of redemptive history subsequent to this epochal event. How we understand the precise nature of these promises, therefore, will largely shape our understanding of all of redemptive history from the call of Abraham to the eternal state. An understanding of these promises that concentrates predominantly on their physical aspect, and therefore sees an ongoing necessity for Middle Eastern geography to be reserved for the ethnic offspring of Abraham has several problems: first, it little accords with the understanding that the patriarch himself had of the covenant promises; second, it is in violation of clear fulfillment formulas found later in the Old Testament; and finally, it fails in its intent to understand literally the promise of eternal possession of the physical land by the physical offspring of Abraham. The discussion of the first of these points will be reserved for the main body of this article; but it will not be out of place here to touch briefly on the other two. As regards the former of these, we find stated in Joshua 21:43-45, in very specific terms, that God had fulfilled all that he swore to the fathers. Later, in I Kings 4:20,21 and II Chronicles 9:26, we see the precise geographical boundaries promised to Abraham in the actual possession of Solomon, at the height of Israelâ€™s political history. Immediately subsequent to this complete fulfillment of the land promise in its physical aspect, its typical purpose then having been realized, Israel as a nation began to lose possession of the extreme portions of its geography, never again to recover them. Can this historical reality be consistent with the promise made to Abraham that â€œall the land which you see I will give to you, and to your seed foreverâ€(Gen. 13:15)? Those who understand the permanence of the promise to mandate a renewed future possession of these boundaries by the nation of Israel have the same fundamental problem that they criticize in the interpretation which considers the physical aspect of the promise to be done away with upon its fulfillment under Solomon: namely, that this geographical possession will one day end; the one interpretation is no more consistent with an eternal fulfillment than the other. The old earth will one day melt with a fervent heat to make way for the new (II Pet. 3:10); and as soon as this dissolution of the old earth takes place, (including the geographical regions promised to Abraham), a literal fulfillment of the land promise becomes impossible. The nature of the promise made to Abraham is such that, any fulfillment which is not eternal does not do it justice. Godâ€™s promise to Abraham must extend to him and his seed for all eternity, including that portion of eternity in which the land of Palestine no longer exists. There must be a time, therefore, when the physical land promise is done away with, and only that aspect of the promise which was eternal remains. Whether this transition is placed immediately subsequent to the height of Israelâ€™s glory or immediately prior to the dissolution of the earth has no bearing on the reality that what was promised to be for Abrahamâ€™s seed forever is actually not forever. The Abrahamic promise, then, could never be eternal unless something other than the physical land of Palestine is fundamentally intended by the promise. And if something other than the physical land is intended by the promise, then it would be vastly beneficial for us to ascertain the nature of this original intention, together with the ramifications that it has for our understanding of Godâ€™s unfolding plan of redemption. The purpose of this article is to demonstrate that the fundamental intention of the land, seed, and blessing aspects of the Abrahamic covenant was, respectively, (1) An eternal place of restored fellowship with God; (2) An eternal people enjoying a restored fellowship with God; and (3) A universalization of the promised blessings of this fellowship which is, at the same time, a specific localization of those blessings within Abraham. This understanding will be demonstrated, first, by an examination of the promises in connection with Abrahamâ€™s history; and second, by an examination of the promises from a New Testament perspective. In 2 Timothy 2:15, God, through the Apostle Paul commands Timothy (and us as God's people) to study to show ourselves approved by God, and to rightly handle His word. The obvious inference here is that without dilligent study it is very likely that we will wrongly divide the word, or give an illegitimate interpretation of it. This takes place with great regularity, and the trouble is that we can often times see when others do this, but we are blind to our own traditions. It takes a humble heart, graced by the Holy Spirit, to be prepared to constantly expose our traditions up to the light of God's word to find if what we believed was true actually is true. We tend to think that we have no traditions - when in fact, we might be blinded by them more than anyone else. Some time back, April 26, 2006 to be precise, I wrote a short article here called "Playing Marbles with Diamonds." There I suggested the use of a dozen ground rules to help each of us in the holy task of rightly handling the word of God. I believe the way we handle the text of the Bible can very much offend God as its Author, and to be hap-hazard in our approach is very displeasing to Him. In our local newspaper on Sunday, there was a story about the emergent church, The title of the article is "Unchurched? Dechurched? Rechurched? Your prayers may be answered." Here is a quotable quote from Paul Metzger from Multnomah Bible Seminary: "These communities span the theological spectrum, drawing from ancient as well as contemporary sources of spirituality." He goes on to say, "For many of them, it's not about right-thinking or right-teaching, it's more about right-living." Does that not strike you as an odd statement? How can you have right living without right teaching or right thinking? It is not as if orthodoxy and orthopraxy are mutually exclusive. Yet a close look at the Text of Scripture would have us be aware that orthopraxy (practice) is dependant upon orthodoxy. That is why Paul, in his epistles begins with several chapters of doctrine before He gets into how we should respond to it (See Eph 1-3, 4-6; Rom 1-12, 13+). If we do not know who Christ is, then He simply becomes a wax nose conforming to the latest fashion and our religion becomes indistinguishable from other world religions of human effort. If the basis of our faith were orthopraxy more than orthodoxy then we could think wrong thoughts about Christ all day, as long as we remain well-behaved. This would amount to nothing more than a religion of behavior modification or moralism. The Scripture makes clear, however, that to the degree we think wrong thoughts about God, to that same degree we commit idolatry. If we reject what Christ taught about himself, in favor of only His teachings about how to behave and treat one another, then we strip the gospel of its substance and turn the grace of God into something about us. Our orthopraxy should, rather, arise our of what He has done for us. The new life in us animates our love for God. I am sorry to bother you again with another email. But, I was reading through Acts in my daily scripture readings and came across Acts 2:40 which quotes Jesus saying, "Save yourselves from this crooked generation (ESV)." I am not one who needs to be convinced of monergistic regeneration...I wholly submit to that scriptural understanding of conversion. However I think if any Calvinistic preacher ever used Jesus' command here they would immediately be accused of being a monergistic preacher, I guess this is my speculation. Yet, this is quoted from the mover of monergistic regeneration. Unless there is a debate on weather or not this should translated as indicative (be saved) as opposed to imperative (save yourselves)...but I am no greek scholar...So please lend me some help and answer these three questions: 1. Is this accurate to the greek text? 2. How can this be said while holding to monergistic presuppositions? 3. How might this influence our preaching today? Thanks for your very important question. Lets first look at this whole passage in context where Peter is preaching in Acts 2:38: Peter replied, ""Brothers, what shall we do?" 38And Peter said to them, "Repent and be baptized every one of you in the name of Jesus Christ for the forgiveness of your sins, and you will receive the gift of the Holy Spirit. 39For the promise is for you and for your children and for all who are far off, everyone whom the Lord our God calls to himself." 40And with many other words he bore witness and continued to exhort them, saying, "Save yourselves from this crooked generation." 41So those who received his word were baptized, and there were added that day about three thousand souls...(vs 47) And the Lord added to their number day by day those who were being saved. So if read in context we immediately understand that Peter qualifies his statement with "...everyone whom the Lord our God calls to himself." How many people is everyone? It is a universal positive, excluding no one in the context of the sentence. This means that all persons, without exception. who are called by God will believe and be saved. This is again confirmed by the last sentence of the chapter which states that it is the Lord who "added to their number day by day those who were being saved. " Is the written word of God, for you, in your life as a believer, the final authority in all matters of your faith, and practice? God is the final authority in my life. I can't confine to the bible because he clearly is so much bigger than the bible itself and of course he is God and can really do as he pleases. The bible is not the beginning and end of God. So then your answer to this question: â€œIs the written word of God, for you, in your life as a believer, the final authority in all matters of your faith, and practice?â€ would be NO, correct? Just trying to establish some basics here. I recently read a very encouraging book called Flight Path, A Biography of Frank Barker Jr. There are a couple of paragraphs in chapter 17 that I thought appropriate to post here since they relate to important concepts that we speak of often here. The chapter is called "The Gift" and explains Barker's many years (even in seminary) having not understood salvation to be a gracious gift of God until a friend had given him a tract which explained it. What is striking about his experience was his previous inability to to hear that same truth even when plainly put before him. He writes, "I wondered why no one had told me that salvation was a gift. Then I thought, Isn't it strange that Martin Luther didn't know that. The reason I thought about Martin Luther was that I had just read his commentary on Galatians for a course I was taking. If Luther had not known that salvation is a gift, he would have brought it out in the book! I wanted to see how he had missed it, so I pulled the commentary off the shelf and reread it. To my amazement, it was on every page!. For over half a century, Dr. Meredith G. Kline, an ordained minister in the Orthodox Presbyterian Church, served as a professor of Old Testament at Westminster Theological Seminary (in Philadelphia), Gordon-Conwell Theological Seminary, and Westminster Seminary California. He received his B.D. and Th.M. degrees from Westminster Theological Seminary (Philadelphia) and his Ph.D. degree in Assyriology and Egyptology from Dropsie College. This website seeks to promote the apologetical approach of Charles Hodge, A. A. Hodge, B. B. Warfield, and J. Gresham Machen typically referred to as the "tradition of Old Princeton," or as "Old School Presbyterianism." many articles, links, and papers that promote Warfield's apologetical approach as time permits. Not all the links or articles will be from Warfield's rigorous Calvinism, which we equally share, but they will attempt to give a reasonable argument for the faith once delivered to the saints (Jude 1:3). With this chapter we reach a turning point in our study. In the previous chapter we briefly surveyed the history of the church on the subject of eschatology. We briefly listened in on that great conversation about last things that has been going in the church for 20 centuries. My purpose in this 'holy eavesdropping' was to acquaint you with the basic questions, terminology, and options to be considered as we turn to a study of the Word of God. There is a downside to this study of the opinions of even Christian men. This brief survey of the history of eschatological discussion in the church could well be sub-titled Eschatology Made Difficult (by Men). With this chapter, however, we turn from the complications and complexities of human tradition to the clarity and simplicity of divine revelation. I have entitled this part of the study, (I hope without too much audacity.) Eschatology Made Simple. "Pelagianism is the natural heresy of zealous Christians who are not interested in theology." - J.I. Packer, "'Keswick' and the Reformed Doctrine of Sanctification." Churches which preserve their cognitive identity and distinction from the culture will flourish: those who lose them in the interests of seeking success will disappear. In our churches we may have made a deal with postmodern consumers but the hard reality is that Christianity cannot be bought. Purchase, in the world of consumption, leads to ownership but in the Church this cannot happen. It is never God who is owned. It is we who are owned in Christ. Christianity is not up for sale. Its price has already been fixed and that price is the complete and ongoing surrender to Christ of those who embrace him by faith. It can only be had on his own terms. It can only be had as a whole. It refuses to offer only selections of its teachings. Furthermore, the Church is not its retailing outlet. Its preachers are not its peddlers and those who are Christian are not its consumers. It cannot legitimately be had as a bargain though the marketplace is full of bargainhunters. No, let us think instead of the Church as its voice of proclamation, not its sales agent, its practitioner, not its marketing firm. And in that proclamation there is inevitable cultural confrontation. More precisely, there is the confrontation between Christ, in and through the biblical Word, and the rebellion of the human heart. This is confrontation of those whose face is that of a particular culture but whose heart is that of the fallen world. We cannot forget that. The casual embrace of what is postmodern has increasingly led to an embrace of its spiritual yearning without noticing that this embrace carries within it the seeds of destruction for evangelical faith. The contrast between biblical faith and this contemporary spirituality is that between two entirely different ways of looking at life and at God. Nygren, some years ago, used the Greek words for two different kinds of love, Eros and Agape, to characterize these worldviews, and his elucidation is still helpful. In one worldview, which he calls Eros, it is the self which is at the center. In the other, which he calls Agape, it is God who is at the centerâ€¦if [eros] is a preparation [for the gospel], it is one which carries within itself and understanding about God and salvation which is diametrically opposed to what we have in biblical faith. In this sense, it is less a preparation and more a wrong turn. Why is this so? The movement of Eros spirituality is upward. Its essence, its drive, is the sinner finding God. The movement of Agape, by contrast, is downward. It is all about God finding the sinner. Eros spirituality is the kind of spirituality which arises from human nature and it builds on the presumption that it can forge its own salvation. Agape arises in God, was incarnate in Christ, and reaches us through the work of the Holy Spirit opening lives to receive the gospel of Christâ€™s saving death. In this understanding, salvation is given and never forged or manufactured. Eros is the projection of the human spirit into eternity, the immortalizing of its own impulses. Agape is the intrusion of eternity into life coming, not from below, but from above. Eros is human love. Agape is divine love. Human love of this kind, because it has need and want at its center, because it is always wanting to have its needs and wants satisfied, will always seek to control the object of its desires. That is why in these new spiritualities it is the spiritual person who makes up his or her beliefs and practices, mixing and matching and experimenting to see what works best, and assuming the prerogative to discard at will. The sacred is therefore loved for what can be had from loving it. The sacred is pursued because it has value to the pursuer and that value is measured in terms of the therapeutic payoff. There is, therefore, always a profit-and-loss mentality to these spiritualities. Is the way you study the Bible offensive to God? Did I get your attention? What!!? God can be offended when we study the Bible? As Christians gather together for a Bible study, often what happens is that the leader reads a verse or short passage of Scripture, and then he turns to each member of the group, asking for their comments. Starting with the man next to him on his right, he asks, "Bill, what do you feel this means to you?" Bill struggles to think of something to say, but stumbles through the ordeal, and relates an incident he experienced at work that he thinks the passage might relate to. He seems to be encouraged by the reaction of the group because most people seem to be grateful for his comments. Next up, its Mary's turn to answer the question. She feels very differently to Bill about the passage, and her answer takes the group in a completely different direction. This is all very exciting to some in the group. They marvel about all the different "facets of truth" being brought out in the Bible study. Yet, if we analyse what was said, what Bill said actually contradicts what Mary said, and what Michael says (who had the third turn) shows that there's yet another way to understand the passage being cited. Once each person in the group has taken their turn, the leader announces the end of the study, and thanks everyone for their participation. They'll meet again next week, and perhaps may even invite friends to come study the Bible with them. But what was all this? Did each in the group experience new depths of understanding? Is everyone leaving the study with a greater knowledge of God's Word? I don't want to sound unkind, but the scenario I described here merely allowed for the pooling of the ignorance in the room. The two outstanding characteristics of the Proverbs with which I associate my childhood, neither legitimate but both having a pervasive influence in my surrounding circles, are fragmentation and moralism. The former of which gave rise to the latter: as long as the individual proverbs were seen as disconnected and de-contextualized, that is, as long as they were seen as a series of random thoughts, it was easy to make such character qualities as honesty, industry, and diligence the foundation and fountainhead of the Christian life. When will God be pleased with me? When I am honest and industrious. How do I encounter Godâ€™s blessings? By being honest and industrious. And so the reasoning ran. The more foundational question, â€œHow can I, a depraved sinner, hope to become honest and industrious?â€, if acknowledged at all, was glibly passed off with an exhortation to try harder. I found all of this exceedingly confusing, as it appeared to contradict everything that was said when one was speaking of the gospel â€“ but considering it a necessary and appropriate shift when dealing with a corpus of â€œpracticalâ€ material, I managed by compartmentalizing my conception of Christianity to muddle along without serious reservations, albeit equally without any precision of thought concerning justification, sanctification, and the relationship between the two. "In Christ God was reconciling the world to himself" (2 Cor 5:19). Does not that one text of Scripture pretty much sum up the central truth of our faith? This is the heartbeat of the Christian religion for it speaks of the Divine act that takes place at the decisive climax in the unfolding drama of redemptive history. Good theology is about what God has done for us in Christ. We can only do theology at all because God, out of sheer grace, has chosen to unveil Himself (to make Himself known) through His acts and speech on the stage of the world. He does this through a series of acts and verbal communications, which He freely initiates, specifically in the events of the history of Israel and ultimately in the Person of Jesus Christ. The acts of God are all redemptive and they all ultimately point to Christ. After the series of redemptive events recorded in the Hebrew Scriptures, Jesus Himself enters the drama as one of us in the culminating and decisive act of the Play so to speak. This covenantal focus of the Bible helps us to rightly understand that true religion consists in what God has done for us in Christ. The Gospel is about God acting on and speaking to us onto the stage of world history. A truly orthodox evangelical theology affirms the priority of the Word and Acts of God in Christ (ultimate) over our response of faith, obedience and spiritual experiences (penultimate). The Divine Word revealed in Christ is supreme over all man-made religions which would speculatively formulate a 'bottom-up' theology of fallen human actions over Divine actions. What is most distressing is, although the most urgent task and function of the church is to make known the gospel to men and women in the world, there is still utter confusion in the world as to what the Gospel is. I am not someone who likes controversy and I have a burden for souls. But unfortunately the confusion about the gospel is not confined to people outside the church, but rather, has itself been produced by those within its walls. This means that the Word of the Gospel must be proclaimed as clearly to those in and outside the church. The re-evangelization of the church is, therefore, itself one of our greatest tasks, if not the greatest. Many Christians evangelize with a four-point presentation gospel, thinking the job is done when someone prays a prayer, but fail in the arena of continued discipleship to those who believe. It is little wonder why this has been so ineffective for creating long-term zealous Christians who are used of God to themselves reproduce. 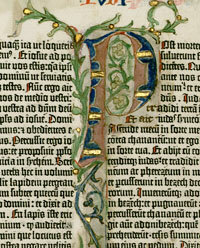 If it is true that the first and last psalms in our psalter serve as bookends to the whole, the first standing as an introduction to the entire collection and the last as a concluding doxology; then what we may learn about these psalms in particular will color our understanding of all that comes between. The 150th psalm certainly teaches us that our ultimate purpose, and the end for which we ought to employ the psalms, is, as the catechism instructs us, â€œto glorify God and enjoy him forever.â€ But what may we learn of the first psalm that will assist us more accurately to understand and apply all which follow it? It is widely recognized that the formal principle underlying the Reformation was nothing other than sola scriptura: the reformersâ€™ diehard commitment to the other great solas was an effect arising from their desire to be guided by scriptures alone. The exegesis and interpretation of the bible was the one great means by which the war against Roman corruption was waged; which is almost the same thing as saying that the battle was basically a hermeneutical struggle. In light of these observations, one could say that the key event marking the beginning of the Reformation occurred, not in 1517, when Martin Luther nailed his theses to the church door in Wittenberg; but two years prior to that, when he rejected Originâ€™s four-layered hermeneutic in favor of what he called the grammatical-historical sense. This one interpretive decision was the seed-idea from which would soon spring up all the fruits of the most massive recovery of doctrinal purity in the history of the Church. We would do well to learn from this: our ongoing struggle to be always reforming, always contending for the faith which was once delivered to the saints, is essentially a process of bringing every doctrine under the scrutiny of scripture. And in order to have the confidence that we are doing so legitimately, we must give much effort to being hermeneutically sound. Hermeneutics is the battlefield on which the war is won or lost. 30And brought them out, and said, Sirs, what must I do to be saved? 31And they said, Believe on the Lord Jesus Christ, and thou shalt be saved, and thy house. My first response to the text was "Amen!". What more could be said? But as I thought it through I realized that perhaps the gentleman who wrote it (whom I had never had contact with before) was either offering some kind of proof against something he had read in the site and/or challenging me in some way. The first clue is the title of his email in which he CAPITALIZED the words "I DO" in "what must I DO to be saved?" In other words, he is asserting that yes, there is something man must do in order to be saved ... proof against your websites' claim that salvation is by God's grace alone, a monergistic work of God's grace without any cooperation of man. The Question of Inerrancy: A 20th Century Invention? A United Methodist pastor recently wrote Norman Patterson, pastor of Covenant of Grace church in New Hartford, CT questioning his use of the term "inerrancy". He submitted the exchange to Monergism.com and I thought it might prove useful to those who may be wrestling with this issue. Norm: Thanks for the handouts. I noticed you use the word "inerrant." What do you mean by that? "Inerrancy" is a 20th century concept popular among Reformed scholars and goes beyond what the reformers: Luther, Wesley and Calvin taught. I believe the concept and word inerrancy gets us into literary gymnastics and fostering a dead literalism the Bible does not claim for itself. For instance and perhaps a silly example: When Jesus said the mustard seed is the smallest seed. In reality he was wrong. It isn't, but in that culture it was believed to be. Jesus also spoke in what is called: "oriental hyperbole." His words about cutting off one's arm or ripping out one's eye etc. As I look at the reformers, including the continental ones like Luther and Calvin and later Wesley, the only "infallibility" they claim is limited to salvation itrself. See Article of Religion V, VI, and The 1646 Westminster Confession Chapter one. What are your thoughts? I hope you donâ€™t mind a thorough reply. Your questions gave me an opportunity to articulate some thoughts that have going through my mind for some time. Jesus Christ is the focus and subject of all theology. He is not only the author and perfector of our faith and salvation (Heb 12:2), but is the the author and perfector of all things excellent, for in Him all things are consummated (Col 1:16-20). All theology is, therefore, Christology, for what we can, and do, know about God is summed up in the person of Jesus Christ. All light concerning God is refracted only through the Christ who has worked and revealed HImself through redemptive history. This means that all attempts to try to understand God redemptively in any sense that is different than Christ is futile, for apart from Jesus Christ, He is unknowable. While reason and creation may give us an idea of God and His greatness, only in the revelation of Christ can we come to know Him. While in Romans 1:18, 21 it says that the unregenerate "know" God as well, but the text makes clear that they only know Him as an enemy. Only through Christ do we know Him as a friend. Calvin once said, "...it is obvious, that in seeking God, the most direct path and the fittest method is, not to attempt with presumptuous curiosity to pry into his essence, which is rather to be adored than minutely discussed, but to contemplate him in his works, by which he draws near, becomes familiar, and in a manner communicates himself to us. "(Institutes Book 1, Chapter 5, section 9) In other words, we should only attempt to know God as He has revealed Himself to us. Other attempts are vain speculation. So why study theology? Because theology is an interpretation of God as He revealed Himself, a revelation which was fulfilled in the gospel-event of Christ which took place in space-time history. The gospel is a narrative of the story of Jesus as Godâ€™s historical act to which all revelation pointed. It narrates the history of Jesus as the history of redemption that culminates in Christ's physical death and resurrection. The gospel defines the God who has revealed Himself in Christ Jesus, the eternal Son of God. Incarnate to redeem His covenant people, He was executed on a cross, and was raised to life: this is the Christian definition of God which was fulfilled in His decisive act. "All the wisdom of believers", said Calvin, "is comprehended in the cross of Christ." So it is an extremely urgent task in our era of religious chaos, that we use the word â€œGodâ€ only as describing the event that culminated in the history of Jesus Christ, God made flesh for His glory and our redemption. When we speak of the benefits of truths such as the doctrines of grace, they should never be spoken of as divorced from the Benefactor. And when we speak of God's various perfections, we do not simply speak in abstractions, but of a historic person who walked among us. God's love, glory, wrath, holiness are all seen to perfectly unite in the person of Jesus. I know I am speaking for all the contributors to the site when I say that we embrace and exult in the sovereignty of God over all things and the activity and the glory of God in the salvation of sinners. This perspective, we believe, is the biblical one, and keeps the Gospel central in our focus and God's grace as utterly amazing. There are many other items that could be mentioned here, but something else that strongly unites us is the desire to faithfully exegete the text of Scripture. I would be hard pressed to think of anything more dear to our hearts than having a precious, personal intimacy with God and faithfully handling His holy word.